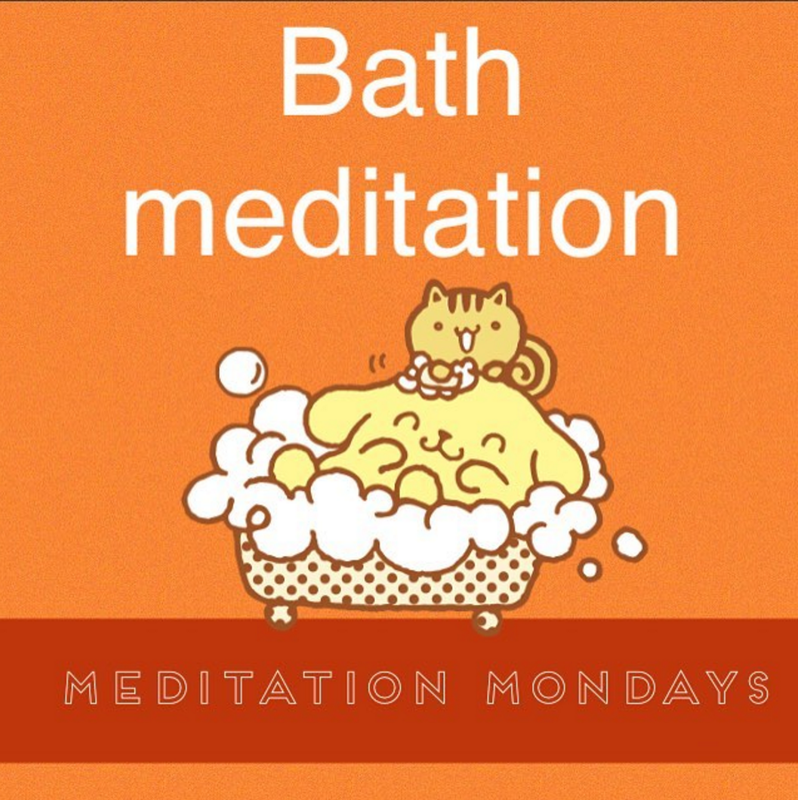 Last night I did a bath meditation. I’ve done a few in the last couple of weeks. My body has been achy, dry, tight and way too cold so I figured some loofah action mixed with some warm water would help circulation in my body. I typically HATE baths but it’s been suiting my body so well in this vata season and I’ve been hanging out in my bath tub longer than I thought I would. It lets my whole body and mind relax, my emotions release and gives me the comforting space to change my perspective. Reflection #1: My social anxiety. Besides blogging for The Strange is Beautiful, I’m a solo artist called Cusi Coyllur. I’ve been going out at least three nights a week to music shows to network and have seen MAJOR improvement in my social anxiety, have noticed some new tactics I’ve acquired and discovered where I still need work. 1. I’ve gone out to shows BY MYSELF and met new people. 2. I’ve initiated audience dancing at the front of the stage. 3. I’ve asked questions about things I actually want to know about (PR, management, labels and booking). 1. Bring or meet an outgoing friend. At first I would go to the show with an outgoing friend or make sure I was meeting a friend there who knew other people at the show. These champions were the first step to get me out of my shell. I wish I could say I did it all on my own, walked in by myself, took a deep breath and started small talk like a pro but nope, it was my friends :) THANK YOU FRIENDS. I’ve gotten better at initiating small talk at shows by asking the following questions:a. “What’s your name?” I repeat their name so I ACTUALLY remember it (need to work on the remembering part still but it’s definitely getting better).b. “Who are you here to see / How did you hear about the band?” This is probably the easiest conversation starter at shows.c. “What do you do? Are they a musician? An artist?” Some totally random career? a. Remind myself of three conversation starters. What three questions can I ask new people and how can I introduce myself? b. Refresh myself of my goals for the night. Am I going to find out information on music business, network, talk about my latest project or just hang out with friends? c. Remind myself of my priorities. What time do I NEED to leave to get enough sleep for the next day so I can answer with confidence when someone tries to pressure me to stay longer. This is the funniest one. I have to remind myself when I go out to meet other amazing musicians and music industry people that I am ALSO an amazing and accomplished musician and am worth their time to talk to so I should be loud and proud because I’m awesome. LOL. This is so necessary for me, otherwise I shrink into my little snail shell and sit in a corner or leave early or never even park and just drive back home. I need more work on being okay talking about my projects and feeling comfortable with OTHER people talking about what I do. It’s so uncomfortable when people say “what do you do?” because I’ll say an elevator pitch of myself like “I play keys and sing for my solo project Cusi Coyllur” but then the conversation changes topics at that point because I freeze and have no idea what else to say about myself. Things I SHOULD say are “and I released my first music video, can I give you the link?” or “do you have an Instagram? you should follow my music + self-help blog.”And when other people talk about my projects, I feel PARALYZED HAHAHA. Really though, it’s the worst feeling. My shoulders go inward, I look down, I get SO UNCOMFORTABLE. But I shouldn’t! Whoever is hype-ing me up to their friends is doing ME a FAVOR and I need to look happy and proud that my friend thinks I am cool enough to talk about instead of shriveling up as if their pride in me is the worst and most embarrassing thing in the world. It’s not embarrassing at all, I just FEEL so nervous. 2. Introducing my friends to other friends. I’M SO BAD AT THIS! I’ve gotten to a point where I’m pretty good at initiating conversation with a new person but am so bad at introducing a friend I brought to my friends. I get all nervous and just decide to leave the friend I brought for a brief five minutes so I can make my rounds and say hi to everyone. This goes along with small talk but being a solo artist called Cusi Coyllur, a name that people have no idea how to spell, makes it difficult to promote myself at loud shows. I need brainstorm creative in-person ways to talk about Cusi Coyllur and also need to brainstorm new places to promote The Strange is Beautiful. I met a variety of people last night on the metro that put my life into perspective of how lucy i am to be able to be this creative and not have to work two or three jobs plus school or only two or three jobs and not be able to attend school. It’s not that I NEVER had this perspective, it was just a needed and necessary refreshing reminder of where I stand in the world. On the metro to Civic Center, I got on at an odd time when it was full of homeless people sleeping. There’s usually a few homeless people on the metro and lined up sleeping in the waiting area, but never as many as there were that night. When I got off at Civic Center, I had to take an Uber to the venue because I knew it was too late to be walking in downtown LA. My Uber driving informed me he became an Uber driver for the holidays so he can finally get his mom a Christmas present. His main job is at a Frito Lays factory where he is given 8 to 10 hour shifts a day. It’s a lot of physical labor and so he says when they give him a 10 hour shift, he has to plan it as a 12 hour shift because the physical work will get him tired and take him more time to do as the day goes on. On the metro ride home, a woman boarded the metro who’s right pant leg was rolled up to her mid thigh showing her inflamed leg and foot wrapped at the knee and encompassing her foot with toilet paper. Her leg looked so inflamed, huge, as if it might pop. There were cuts all over it, possibly an infection and it made me wonder if clinics had denied to cover the cost to fix her leg infection. I wondered if she might eventually lose her leg. It was a common night in LA for sure, but I don’t always take the metro and Uber and see these things. I live in suburbia where real life is hidden. At the end of my meditation I felt overwhelmed with gratitude for the life I have and motivated to work harder to do more, as much as I can, to help others. Helping others is what keeps me going really. It’s kind of like when someone feels really depressed yet they’re down to hear their friend vent about their depression because in some weird way it makes them feel better to have at least helped their friend. Whenever I feel down, helping others is a great motivation to get out of bed because I know even if I don’t feel good that day, there’s someone that I can help.